Join us for a delightful evening of delicious food and live music on Friday, November 15. There will be a complimentary hospitality reception in the Exhibit Hall at TBD. followed by a dinner served in the Meeting Hall TBD. As seating for dinner will be assigned, please make your reservation as a group so that your entire party may be seated together. Please make your reservation by TBD. The Riverside Convention Center’s food policy prohibits bringing in outside food, except in the case of medical or dietary concern. Meals, snacks, and beverages will be available for sale during Diocesan Convention. If you require accommodation or need further assistance, please contact the Secretary of Convention. Childcare programs for the Diocesan Convention are in a room opposite the meeting room. Registration required. Seating will be assigned for all delegates. An alternates section and a visitors section are also available for those not participating in the business of convention. No alternates or visitors are allowed on the floor of convention at any time. The Annual Convention of the Episcopal Diocese of Los Angeles has many great sponsorship, advertising and exhibitor opportunities. With over expected attendance of over 2000, the Diocesan Convention in Riverside Nov. 15- 16, 2019 can provide your company, institution or ministry with fantastic exposure to leading church parishioners, clergy throughout the diocese, and visitors from over 129 church communities. Wireless internet will be available during the business hours of convention, but please download all your materials before convention. Youth volunteers assist in several different capacities involved with the logistics of Convention. Youth and young adults who attend Convention discover that serving as a volunteer is an exciting way to be involved. Volunteers are accepted on a first-come, first-served basis. A maximum of 50 volunteers will be accepted. 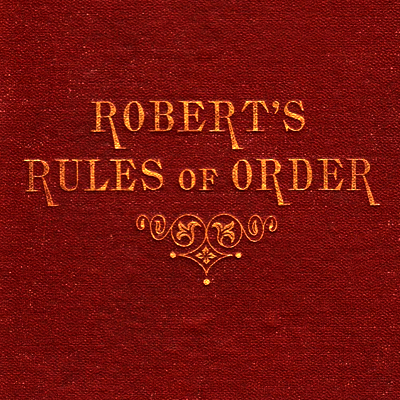 Robert’s Rules of Order, is the most widely-used manual of parliamentary procedure in the United States. It governs the meetings of a diverse range of organizations—including church groups, county commissions, homeowners associations, nonprofit associations, professional societies, school boards, and trade unions—that have adopted it as their parliamentary authority. There are two parallel systems of canon law within the church operating on a national level, governed by the General Convention, and on a diocesan level, with each diocesan convention empowered to create constitutions and canons. Diocesan constitutions do not require the approval of the General Convention. The History of Diocesan Resolutions provides a comprehensive timeline of the resolutions passed by Diocesan Convention between the years 2006-2015.